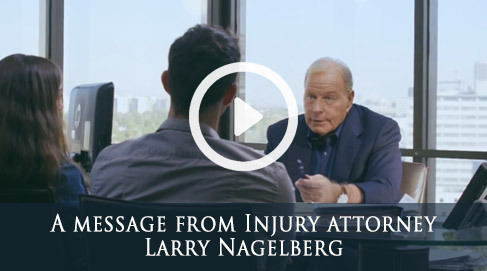 The Long Beach personal injury lawyers of the Nagelberg Bernard Law Group can assist you with getting compensation for the injuries that have been forced upon you by negligence. We have a philosophy around our Long Beach offices that all persons are entitled to financial restitution in the wake of being victimized by an accident. And to get that, you require an expert law firm with decades of services to its clients. Over 30 years have passed since we opened our doors to business, and in that time we’ve gained more than $400 million for our clients amid a 98.4% success rate. We want you to be our latest success story. Call our Long Beach attorneys today at (562) 200-0230 to receive a free consultation from a member of our expert legal staff. You won’t regret it. If you haven’t been hurt, but an immediate family member has sustained fatal injuries due to negligence, then we can help you with that as well. Our Long Beach attorneys are well versed in numerous practice areas, from traffic accidents to product liability incidents, and slip and falls to animal attacks, and we can help you gain compensation if you’ve suffered injuries or if you’ve lost a loved one.